Every once in a while there emerges from the proverbial woodwork an upstart company with the plans, tools and technology that might actually revolutionize the world as we know it. 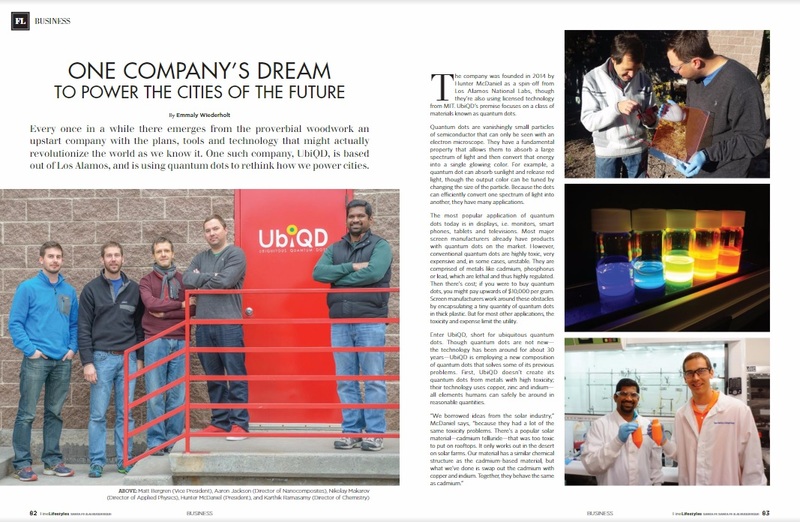 One such company, UbiQD, is based out of Los Alamos, and is using quantum dots to rethink how we power cities. 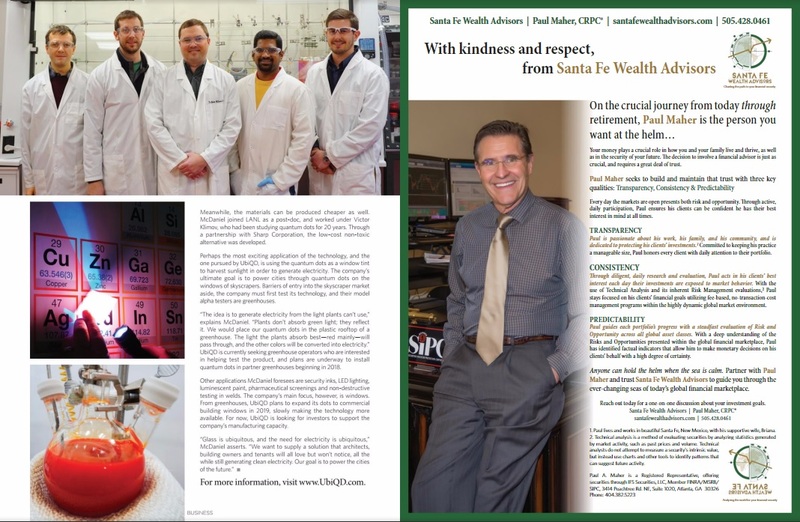 Read the full article in Spring 2017 issue of Fine Lifestyles Santa Fe Magazine, pages 82-84. Click here for pages 82-83 and 84.